These pinwheels were SO GOOD! 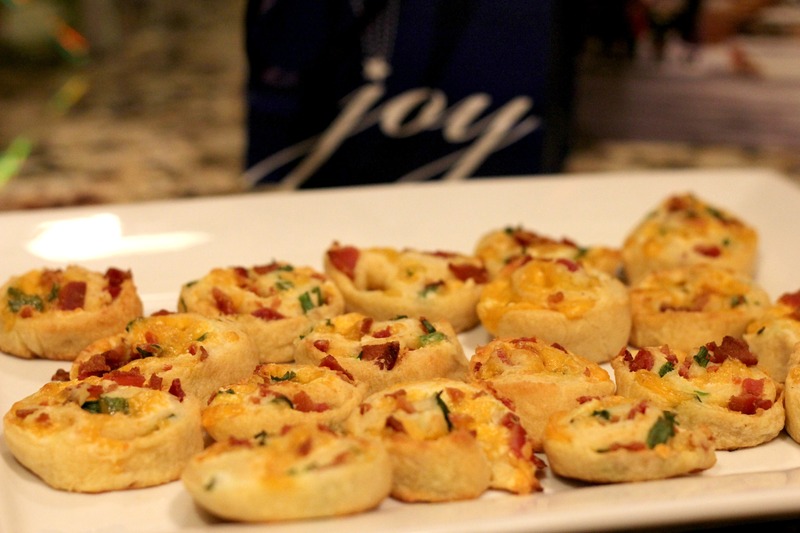 I actually made them for a Christmas party, but they are perfect for football parties too! Really, any type of party would be a great time to serve these. I don’t discriminate against party types. Speaking of football though, it’s sad that the season is coming to a close. Today was the SEC championship game with Georgia and Alabama. I was really pulling for the Dawgs, and it came down to the very last second, but Bama pulled out the win. Anyways, about these awesome pinwheels. They’re surprisingly simple to make, they look cute, and they taste amazing! This is one of those appetizers that everyone will love. Cheese? Bacon? Cream cheese? Check, check, and check! I thought I made more than I needed, and it turns out that these got devoured in a matter of minutes! They were obviously a hit. 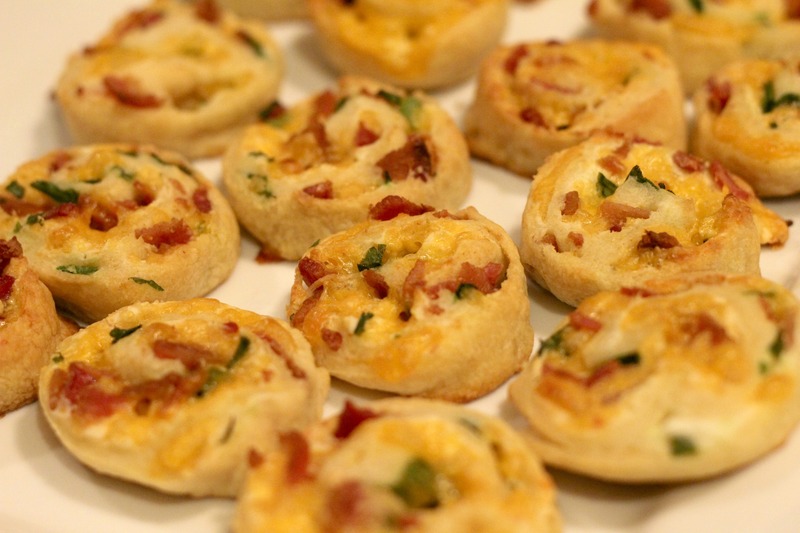 In fact, these are really similar to the Pizza Pinwheels I’ve made before that were also a huge hit! I’m not sure which ones I like more! Unroll the crescent roll dough and pinch together all the seams. Roll it out with the rolling pin to flatten it a bit. Spread with 2 ounces of softened cream cheese, right out to the very edges. Sprinkle with garlic salt. Top with the cheese, bacon and green onion as evenly as possible. Roll it up from long end to long end. Refrigerate for about 30 minutes (this makes them easier to cut). Slice into about 1/2 inch slices and place on a baking sheet. Bake as directed on the crescent roll package. Lindsay, these are perfect for anytime!! Very delicious! You’re right! I could easily see myself making these just to have as a snack by myself No party necessary! These were tasty. Made with the Cheesy Bacon Tortellini. Kind of fell apart as I was cutting them, but that’s ‘cuz I didn’t join the seams together as well as I could’ve. Good stuff, though, gonna make ’em again sometime. Thanks. Glad you liked them! Cutting these things are a little tricky. I’ve heard that Pillsbury makes a seamless dough which would make this recipe (and others where you have the pinch the seams of the crescent dough together) much easier! They don’t sell it at my local store, but you might want to check at your store to see if they have it! i have done other pinwheel recipes with the crescent rolls– they had mentioned sticking it in the freezer—which i did for about 15-20 min…made cutting them WAY easier!!! thanks for sharing this recipe, plan to try it tonight!!! Thanks for the tip Jennifer! Hope you enjoy them!